CalculatorsA range of calculators ..
My Broker appA really great app with lots of features.. Potential reforms to broker commission are currently being discussed which could result in a blanket ban on commissions (upfront and trail) and the introduction of a customer fee-for-service of thousands of dollars. If enacted, these changes could make the mortgage broker channel unsustainable, forcing customers back to the big banks with large branch networks, and cutting customer access to smaller lenders and credit. An alternative proposal (the Netherlands model) not only has the customer paying a new fee of thousands of dollars every time they access a broker, but also every time a customer walks into a bank branch to arrange a home loan. Mortgage brokers are critical to competition in the home lending market in Australia. 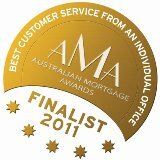 The Royal Commission has signalled changes that could threaten your mortgage brokers business.The industry faces potential policy changes that could make the mortgage broker channel unsustainable, drastically reducing competition, choice and access to credit in home lending, while delivering a windfall for major banks. As Treasury noted in its submission to the Royal Commission’s Interim Report, ‘if mortgage broking activity diminishes, this could have a significant detrimental impact on competition in the mortgage market. The potential beneficiaries of any lessening of competition would be the major banks with established branch networks’. "Julie was a most excellent mortgage broker. I was an 'older' first home buyer with a single income. When banks were reluctant, Julie made it happen. Julie was encouraging and went out of her way on may occasions. She was a great communicator and very responsive to questions. She was flexible, gave a number of loan options, working everything out, and following everything up with efficiency. I would highly recommend Julie and Solution Funding. Thanks Julie !!" "Hi Julie, thank you for going the extra mile in helping us sort out all the complex banking forms for the building of our house, and for the sale and settlement of our property. Your professionalism and personal service was excellent. Kind Regards"
"Julie Clift was recommended to me by a colleague and it turned out to be the best advice I decided to follow up on. I found Julie to be a very professional individual with a great work ethic. Having a busy work schedule Julie has indeed taken the hassle and stress out of the process of finding a suitable lender. The legwork from the application to the approval and settlement was seamless. She is also a very friendly and approachable person and I had no hesitation in calling her to discuss the strategies and options at hand. I would really like to thank her for all her help and support and for a job “very well done". "Hi Julie, Thank you SO SO SO much for all the hard work you have done for us over the last few weeks! Apologies for being some of your more challenging clients! We honestly can’t thank you enough for sorting out this issue so quickly and effortlessly. WE would be totally lost without you!!!" "We would like to express our appreciation for the help and assistance from Julie at Solution Funding to purchase our property. Before during and after the purchase Julie explained the concept very clearly for the information we needed, and promptly answered any questions we had via phone and email. When we needed help understanding on a day that my real estate wasn't working, you took the time to explain some changes as well as offered some very useful advise. Julie and her staff demonstrated excellent teamwork to provide exceptional customer service. Thank you for helping us purchase a home that we love." Julie Clift from Solutions Funding has been assisting me with mortgage matters for the last 3 years. Having Julie assist me has certainly made these complex matters much more simple and saved me many headaches. Julie and her assistant Nicole have always been quick to respond to my enquiries, providing information that was helpful and have been a pleasure to deal with. My wife Nevine and I were making a big move later in life and although we've made purchases before, this was a big change that would take us back out of our comfort zones after almost 20 years in our family home. You Julie was clear, attentive, patient and realistic - giving us any information we needed and helping us understand the products available without bias or pressure. We could not have been in better hands, we felt secure in the decisions made and confident that our best interests were at hand. To The Solution Funding Team, We want to say a massive big "Thank you" for all you have done for us in the selling and purchasing of our home. It took us such a long time to finally decide to sell our house and buy a new one. The questions of, could we afford it and how could we manage it, more than often squashed our thoughts of selling. In the early stages, we tried to discuss with our bank about what our options would be, but found their consultation very vague and we felt even more frustrated and uncertain. It was then, upon recommendation, that we called Julie and arranged a meeting with her. The rest is a very happy history! The process of selling and purchasing our new home was made effortless through the amazing assistance of Julie and her team. She was so helpful and informative and we knew straight away that we were in good hands and had nothing to worry about. Julie would come to our house at times that were convenient to us. She thoroughly explained all aspects of what we needed to consider and was so helpful in making every possible avenue available to us in order to proceed with our goals. Julie always returned our calls and no task was ever considered too big. As we both work full time, one of the biggest relief for us was not having to chase the bank or solicitors for anything. Solution Funding took care of everything. Nothing ever seemed too hard or impossible for them. The structure of loans were all itemised in an easy way to understand. Julie would always show us the best and worst case scenarios based on our income and bank requirements which gave us very clear ideas of what we could and could not afford. Even though we were constantly changing our minds, Julie always gave us options of what we could do according to loan amounts and bank expectations. All information provided was very professionally laid out and extremely helpful. All in all, Solution Funding were an answer to our prayers and they far exceeded our expectations. We are extremely satisfied with all their services and would not hesitate to recommend them to anyone who is thinking of selling and buying. We really appreciate all Julie and Nicole have done for us. Julie was recommended to me by a friend over five years ago, and in this time I've used Julie's services three times, recently in the purchase of a new property and for my first property and again when changing lenders on my existing mortgage. I really appreciate how friendly and responsive Julie is. As a person who is new to the property market and still getting a handle on all the different aspects and how they fit together, Julie has always taken the time to answer my many and varied questions, giving her advice freely. Julie has made my interactions with her easy and has been clear about the requirements and what they mean, what the banks are looking for etc. I have recommended Julie to many friends and family. It is without hesitation that I say the reason why are now living in our very own apartment is all because of Julie Clift from Solutions Funding. We have been working with Julie for over 5 years, initially to purchase our very first property, and more recently to purchaser 2 investment properties. Julie came to us recommended by a friend and we are so grateful they did. Julie is easy-going, friendly, professional and makes the often daunting and difficult process of buying your first home a breeze. She showed us how affordable it could be by working out all of our finances and telling us what was realistic and how much our repayments would be. She takes all of the guess work out of the process, and has even managed to renegotiate our loan rates with our lender to a very low rate. Best of all, all of this great service and advice doesn’t cost you a cent! We have recommended Julie to many other friends who are also in the same position, and would happily recommend Julie to anyone thinking about buying property. "...My wife and I have used Julie's services a number of times to help us find the right finance product for our needs. Julie is professional, knowledgeable and highly responsive at all times. She has worked tirelessly on our behalf during what can be a long, and at times stressful process. I would have no hesitation in recommending Solution Funding..."
Julie...you are so wonderful, we did not make a mistake in having you as our broker...you have done so much for us...we cannot thank you enough. I have recommended you to one of our workmates already. You are a miracle worker! Julie gets the job done quickly, efficiently and makes the entire financing process easy. I wish everything in life was this simple and all service providers this friendly and capable. I've utilised Julie's broking services twice now and wouldn't go to anyone else. I have purchased 3 properties with Julie. The last one an investment property with my 2 sons. Julie is the most knowledgeable person I know in this field. And extremely professional. I was a mortgage broker for some time but having left the field I wanted to use someone I could trust. Julie was the one I turned to because I know how good she is! We wanted to thank you for all your assistance in finding the best loan for us. You really put our mind at ease and we appreciated your knowledge and reassurance. We look forward to meeting again for our second property. Just a short note to thank you for all your work. You certainly went above and beyond. Just a little note to say thank you for all your help and assistance in the purchase of our first home. We are really enjoying our new location and can't wait to do some renos. We will of course recommend you to friends in the future. Thank you for all your help with out loan. Love your work! Thank you for your genius! Your hard work is valued and loved. Thank you so much for all your efforts in helping me with my mortgage refinance. Very much appreciated. On behalf of Nelson and myself, I would like to sincerely thank you for all of your help and assistance in obtaining our new home. You have and always will be fantasic! Thank you so much for your tireless work in helping us build and prepare financially for my maternity leave. You are our financial angel.